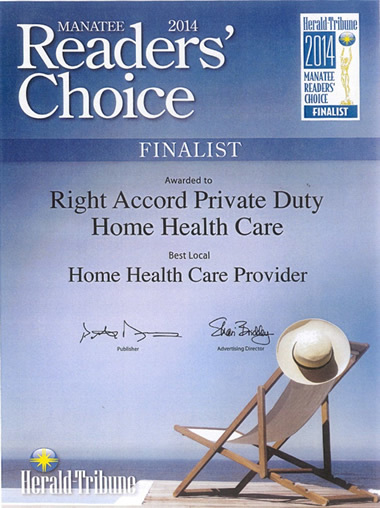 In 2014, we were nominated and earned a spot as a Finalist for Best Local Home Health Care Provider during the Herald Tribune’s Readers Choice polling! Our accolade was voted on by citizens in the Sarasota and Manatee County areas, through the Herald Tribune. We are grateful and thankful for this award, but more importantly thankful for our local community support.